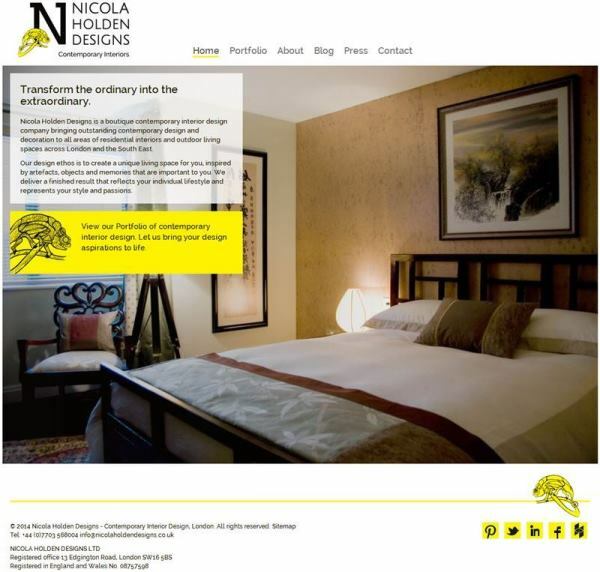 ﻿﻿ Nicola Holden Designs – Contemporary Interior Designer, London. Thank you for all the kind emails about the launch of the new Nicola Holden Designs brand! I’m thrilled that you have welcomed my new look with such enthusiasm. I think IC Design have done an amazing job with the brief that they were given! So, let me explain some of the thinking behind my new branding. It all started about 18 months ago, when I began to think about needing a brand that more accurately mirrored not only my design style, but also the company, and where I saw that headed. I pulled in the expertise of Stephanie Beitzel of Nicheonomy, and Karen Haller, the renowned ‘colour lady’. The upshot of all of this was that I wanted to create a brand that was contemporary, professional, creative and quirky. Hopefully you will agree that my new website portrays this message. 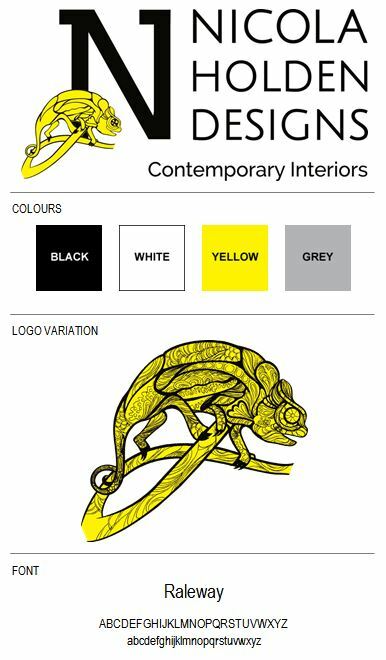 I particularly like the chameleon because it links to Africa, it signifies transformation due to its colour changing abilities, and it’s a fun and quirky. 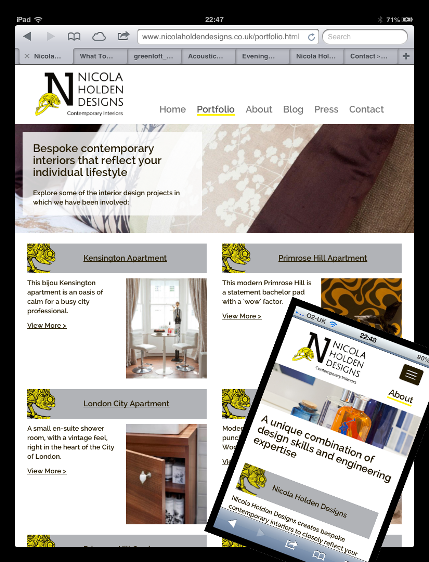 One of the great things about my new website is that is it mobile optimised too, so it should look great for you, however you choose to view it! So, what do the rest of you think? If you have enjoyed this post why don’t you head over to our Facebook page, or follow Nicola’s updates on Twitter or Pinterest. 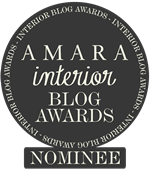 Full details of our Interior Design services can be found on our website. This is where I share progress updates on projects, news from exciting shows that I have visited and insights into what inspires me. 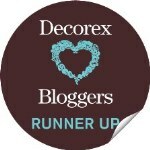 Visit Nicola Holden Designs's profile on Pinterest. Last week saw KBB return to the NEC in Birmingham. I missed the show last year – something to do with getting married, so I thought I ought to pop up to Birmingham again this year and see what the show had to offer, and how it aligned to the trends that I wrote about on behalf of the BIID (British Institute of Interior Design) for the KBB Preview Magazine. For an economy that seems to finally be on the up, I was excited to see what the show might offer. I was looking for unexpected materials, textures and even colours. Designs full of fun and frivolity! Sadly I was rather disappointed in the show. There seemed to be fewer exhibitors there than in previous years, and very little new and exciting in the product ranges on show. 2014 is about finding ways to save time, space, and money whilst creating a warm and inviting space. So, let’s take a look at what the kitchen trends for 2014 are, and where I found these at the show. I was on the lookout for kitchen solutions that ooze both style and practicality. 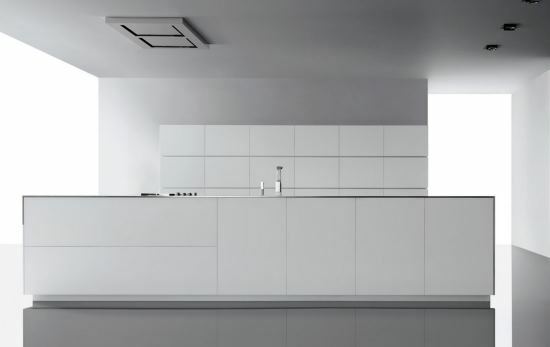 This minimalist, stream-lined look is still very much on-trend for 2014, with its simple, sleek white units, white worktops and unfussy, clean lines. Doca have a great range of super sleek units to fit this brief. In total contrast to this monochrome minimalism I am noticing an increasingly popular trend towards colour, pattern and fun. And I’m not just talking brightly painted units, like these happy yellow units from Nolte! Ornate tiles with exotic designs and gorgeous, rich colours are stealing the show, but sadly not the KBB show! I think they missed a trick here. 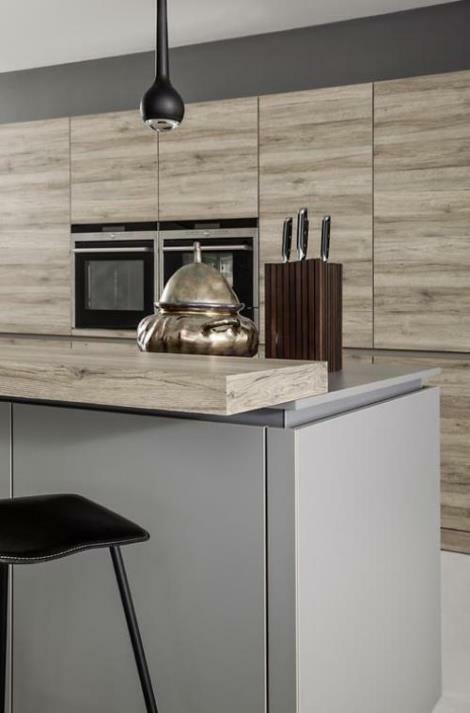 This trend is all about natural wood effects, and I found this fairly rustic but modern looking kitchen at Leicht, complete with knotholes, cracks and a brushed surface to give it the gnarled aged wood character. Grey is still the new black for kitchen units, but dark, moody blues are also proving to be very fashionable shades, and look great with raw, industrial-style features such as exposed brickwork, wooden worktops and metal pendant lights. Again Leicht had some lovely moody neutrals to support this trend. These finishes are still very on-trend, with copper being the latest shade to come to the fore. 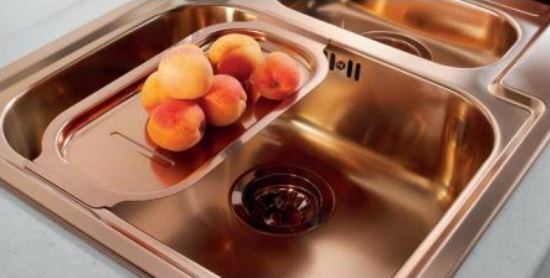 Designers are looking for innovative ways to introduce this colour into their schemes, and I came across these fun sinks from Alveus, which come in copper, gold or anthracite. As clients increasingly seek the ‘wow’ factor in their kitchens, innovations in appliance technology are allowing the connected home to become a reality for today’s consumers. 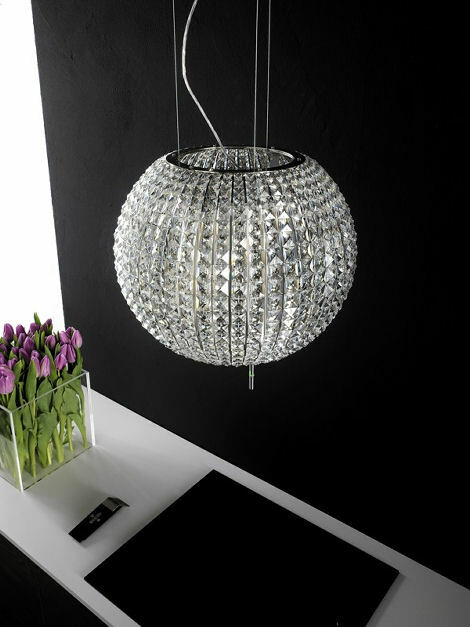 I know this is not a new product, but I can’t stop loving the Star cooker hood from Elica to add a bit of glamour and sparkle into your kitchen! What are you lusting after for your kitchen today? Image credits from respective companies. 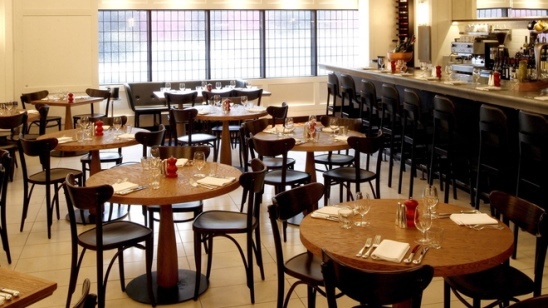 It’s a while since I’ve written a post about a restaurant, but a couple of weekends ago I found a restaurant worth blogging about – HIX Soho in Brewer Street, a stone’s throw away from the bustling Piccadilly Circus. 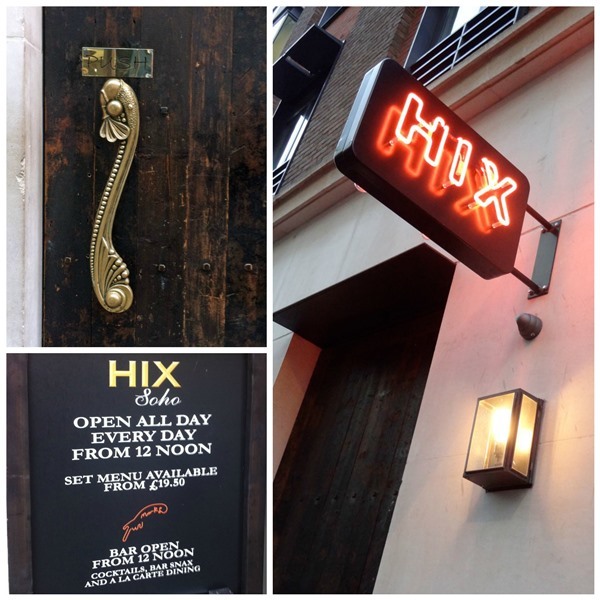 HIX opened its doors in 2009 and soon after won London’s Time Out Award for Best New Restaurant in 2010. 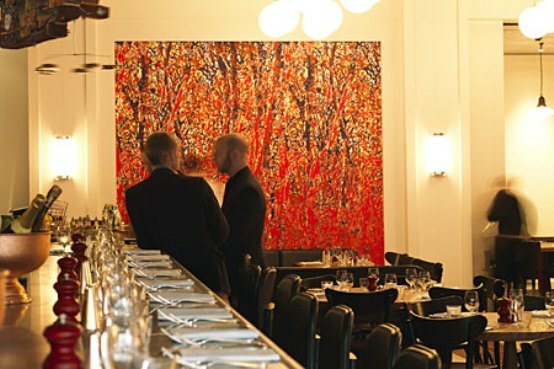 The restaurant boasts Mark Hix’s signature daily-changing menu of seasonal British food, which was all very lovely, but it was the interiors that caught my eye – or more specifically, the artwork! The red neon sign, Ivy-like windows and a typically Soho wooden door beckon you to the restaurant – a covert entrance leading into a space for ‘those in the know’. The restaurant has a clean, calm, stylish feel to it – a long, mirrored bar area, the floor a rustic combination of wood and tile, and the bentwood chairs and lightly padded banquettes the comfortable side of austere. The table furniture is elegantly unpretentious. Art hangs from the walls and ceiling, giving the space a wonderful edgy, quirky vibe – all in all a fitting ode to the Soho surroundings. 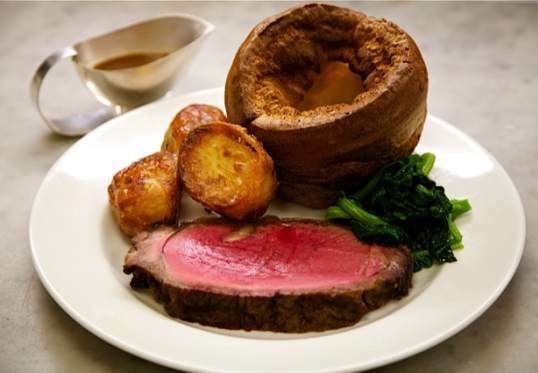 In the brochure that describes the artwork, Hix states that “Food and art are the perfect marriage”. The artwork is an eclectic collection of mobiles and neons from the owner’s celeb artist chums including Damien Hirst, Gary Webb and Sarah Lucas among others. As explained by our slick waiter, Finbar, the artists provide the artwork for free, and then get to eat in the restaurant for free in return – sounds like a good deal to me! Most of the art is hanging from the ceiling, in the form of mobiles – due to the lack of wall space in the restaurant. I recognised Damien Hirst’s Boullibalanced Fish mobile, but some of my favourite pieces were Stephen Webster’s Jaws and Shezad Dawood’s neon-lit Flamingo, suspended above the bar. The scene stealer was an autumnal painting by the late Angus Fairhurst. Downstairs is the celebrated Mark’s with its apothecary bar, taxidermied fox and an eccentric cocktail list designed by Nick Strangeway. The food was fantastic too. I stuck to the menu of the day, with an incredibly generous prawn cocktail for starters, a very tasty roast beef with Yorkshire pudding, roast potatoes and delicious veg for my main course, and washed down with a glass of pudding wine instead of a pudding. It was a wonderful way to spend a lazy Sunday afternoon celebrating my sister-in-law’s birthday. What restaurant would you recommend for an interiors and food combination? Images 1 and 2 © Nicola Holden. Other images: 3, 4, 5 and 6. © 2018 Nicola Holden Designs - Contemporary Interior Design, London. All rights reserved.